Mass spectrometry technology has been crucial and widely applied in the analysis of biotherapeutic drugs as it can detect and measure a wide variety of product and process quality attributes with great selectivity and sensitivity, such as clips, glycosylation, glycation, oxidation, deamidation, sequence variants, and more. Multi-attribute monitoring (MAM) assays based on LC-MS technologies have gained popularity in recent years as they enable researchers to detect and measure multiple quality attribute simultaneously, enabling more streamlined and productive analytical workflows. Both have their advantages and disadvantages. 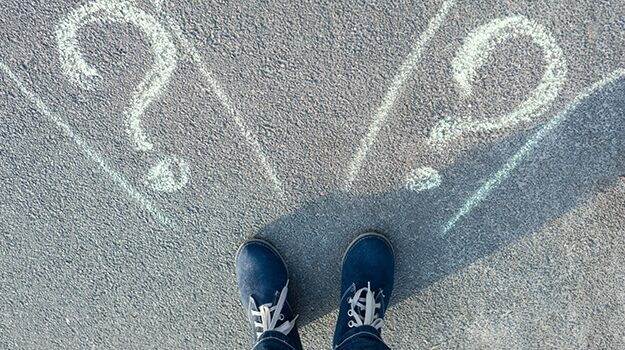 How to choose which approach to take really depends on the molecule and the attributes that need to be analyzed, as well as the goals of the development and manufacturing organization. In a recent review article, scientists from Roche describe a reduced subunit QTof ESI-MS test for assessing Trastuzumb glycosylation variation that they first implemented in 2004, and where data from more than 500 drug batches were obtained with only three system suitability deviations since inception. Sample preparation for mAb subunit mass analysis begins with an enzymatic digestion (typically with Pepsin or Ides) and/or reduction of the therapeutic mAb, which generates three primary subunit fragments (LC, Fd’, scFc) that can then be rapidly separated and analyzed by LC-MS. Deconvoluted MS results can be utilized to provide semi-quantitative measurement of different quality attributes, such as glycosylation, oxidation, clipsand sequence variant, etc. Given its relatively simple and robust sample preparation and rapid LC-MS analysis time, subunit analysis has become a method of choice not only for characterization, but also for higher throughput attribute monitoring to support product/process development and manufacturing. Scientists at Eli Lilly used a rapid subunit LC-MS approach3 to first characterize the N-linked glycosylation patterns in the Fab (fragment antigen binding) domain, independent from the canonical glycosylation found within the Fc domain.3 Using this semi-quantitative method, they demonstrated the impact of Fab and Fc glycosylation on clearance, and identified the Fab oligosaccharides containing terminal GlcNAc and M6P as critical quality attributes (CQAs) that need to be properly controlled. Eli Lilly’s approach provided fast and precise glycosylation profiling data during product development and was utilized to develop an integrated control strategy to ensure product quality. In a subsequent presentation at a 2015 USP Workshop on Glycosylation Analysis for Biopharmaceuticals, they described the development of this assay and detailed their ICH validation of this approach as a candidate release assay for their biotherapeutic. With a streamlined workflow available now under GMP compliance-ready informatics to automate the acquisition, processing and reporting of LC-MS data,4, 5 mAb subunit analyses can be readily implemented in both regulated and non-regulated laboratory environments, supporting product characterization, attribute monitoring for product and process development and optimization, and even QC release. Scientists from Janssen recently shared their success in developing a highly sensitive and reproducible multi attribute monitoring method6 with high-throughput protein purification followed by rapid subunit mass analysis. Using this platform method, multiple product attributes, including aglycosylation, glycosylation and glycation, were simultaneously quantified in a series of small scale DOE (Design of Experiment) studies, and correlations between the levels of these quality attributes and particular cell culture process parameters were effectively established. In a second study published by the scientists at Janssen, they highlighted the advantage of applying a subunit-based MAM method7 to assess oxidation profiles was highlighted. 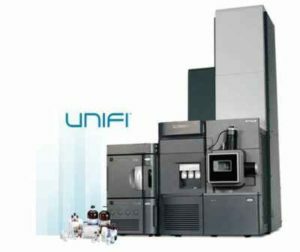 Using a Waters UPLC-MS system, specifically the Biopharmaceutical Platform Solution with UNIFI, they demonstrated reproducibility and intermediate precision of the method and they qualified and validated the system for use within a GMP environment, showing the applicability of this platform in late stage development and QC environments. Subunit-based MAM has many advantages, but it’s limited in its ability to monitor the small mass changes accompanying modifications such as deamidation and isomerization, and it’s not able to generate site-specific information when multiple modifications are located on the same subunit fragment. For these situations, peptide-based analyses are viewed as complementary workflows. The next post in my series will discuss the peptide mapping-based MAM. Do you want to receive updates and info on MAM directly in your inbox?